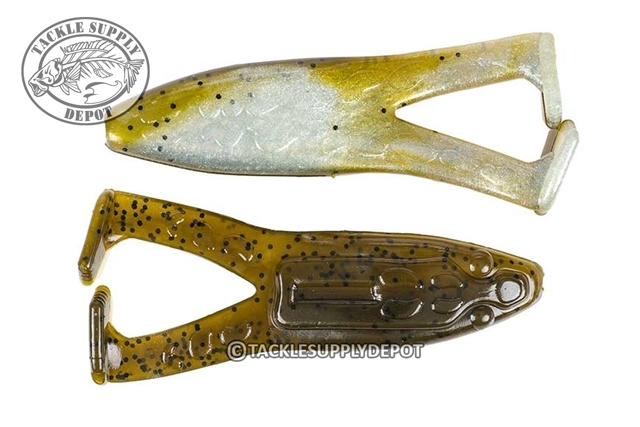 Fitted with two hard kicking paddle feet and a streamline body the Super Toad is perfect for those weedlines and patches that a buzzbait can't venture into. The Strike King Super Toad offers an incredibly soft plastic formula that has the ideal amount of salt and weight for casting while providing buoyancy that allows it to stay longer on the surface without needing to be burned fast. Nothing compares to the hard hitting topwater explosions that come from toad fishing in the slop and the Super Toad is ready to play.